Prenuptial agreements (oftentimes referred to as “prenups”) are becoming more and more commonplace in Pennsylvania. 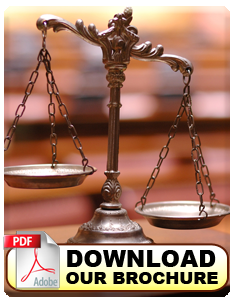 These agreements offer couples who are getting married the security of an agreement regarding such topics as equitable distribution of marital property in the case of a divorce or the death of one spouse, support, and child custody. An attorney at MM&D can help you draft a prenuptial agreement if this is something you are considering. You will find that an attorney’s advice and input on this matter will allow you to fully cover all bases and create a prenuptial agreement that will be best for you and your future spouse. Statistics have shown that about one in three of all first marriages and an astounding 50 percent of second or third marriages end in divorce. With the divorce rate being so high, it is wise to invest time into the planning of your long- term financial future. When you get a divorce, your spouse may be entitled to a percentage of your assets and personal property, such as your house, stocks, and retirement income. 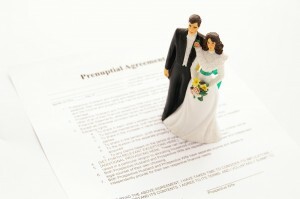 In order to avoid a devastating loss, you should consider entering into a prenuptial agreement. Musi, Malone & Daubenberger will help you create an agreement that fully addresses all of your concerns. While we would not draft a prenuptial agreement with the intention that your marriage will end, it is often a good insurance policy, so to speak, in the unfortunate event that the marriage dissolves.